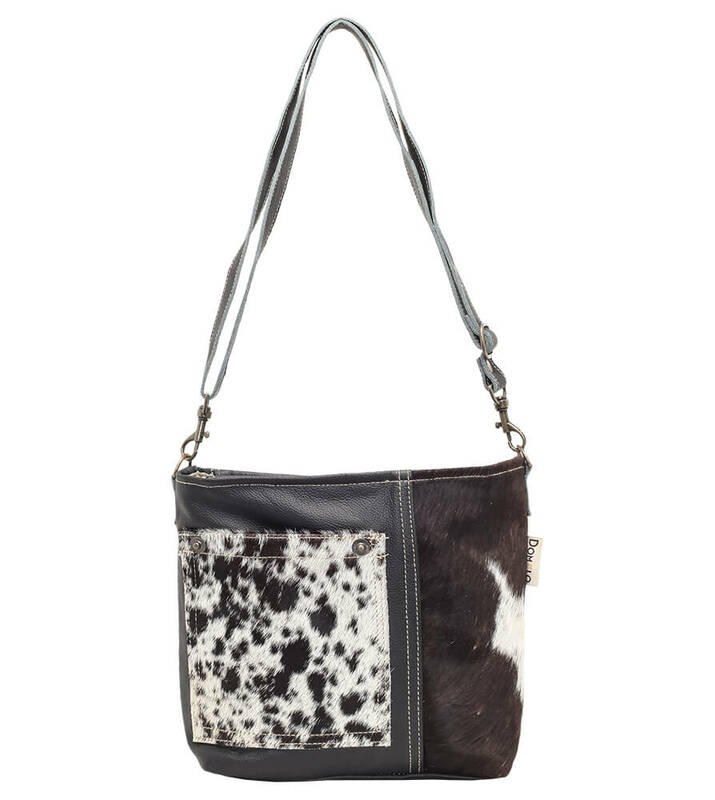 Spectacular genuine cowhide bag in black and white. 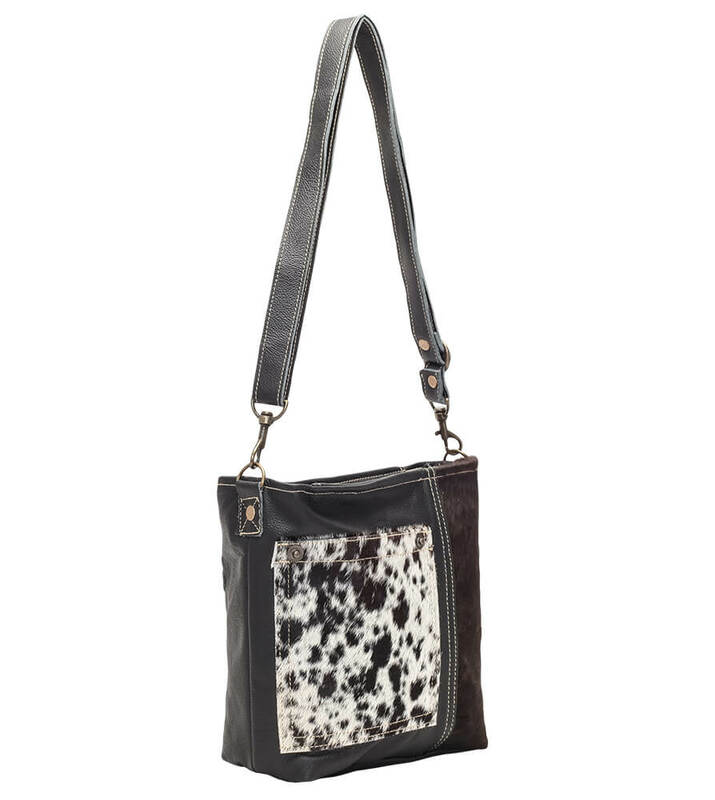 This splendid cowhide bag makes an excellent accent piece for an Oktoberfest outfit brimming with style. 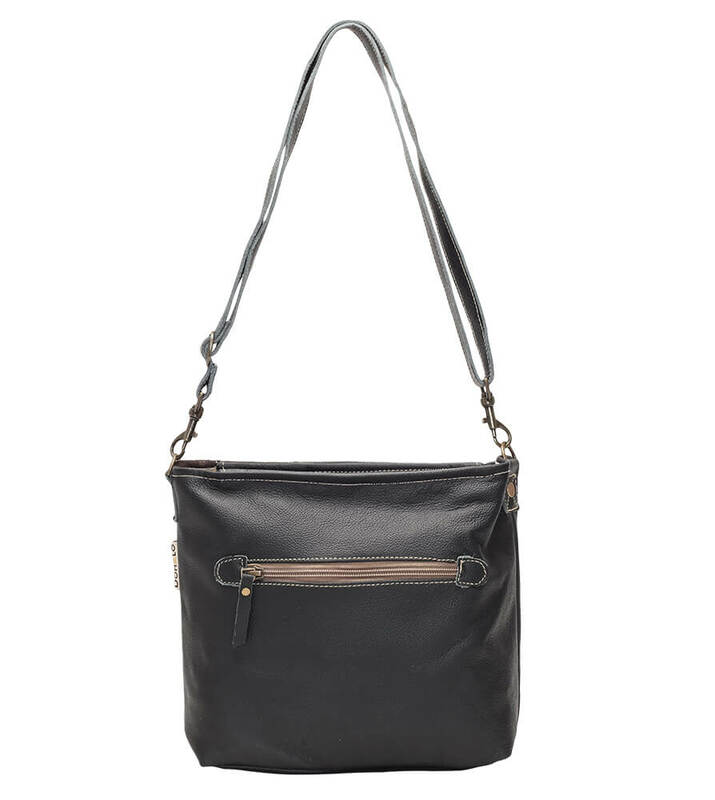 Featuring a detachable strap in matching black leather, it makes a hard-wearing accessory of the highest quality. 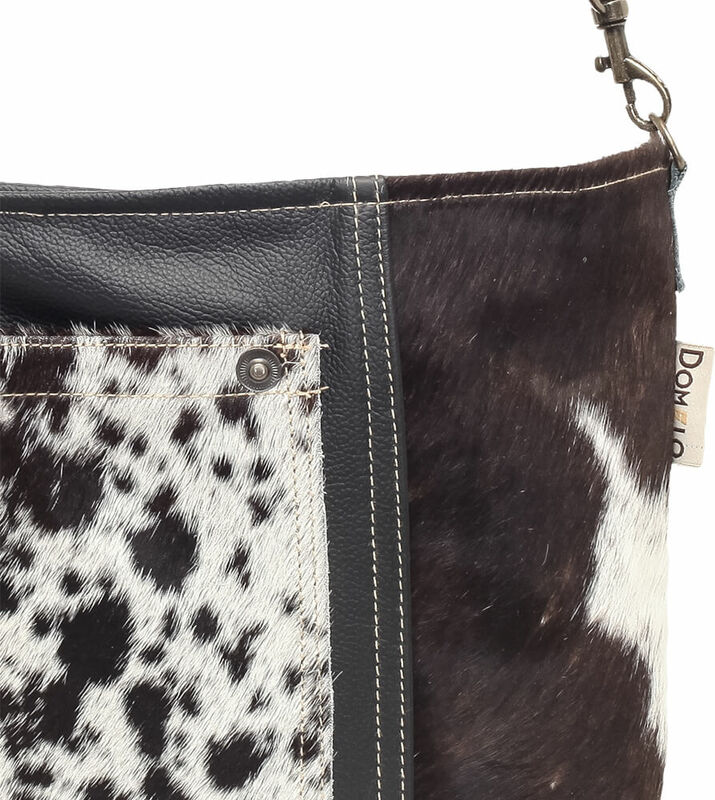 The slot pocket at the front features a speckled black and white cowhide overlay, framed to the right by another cowhide overlay, but with larger white on black spots. 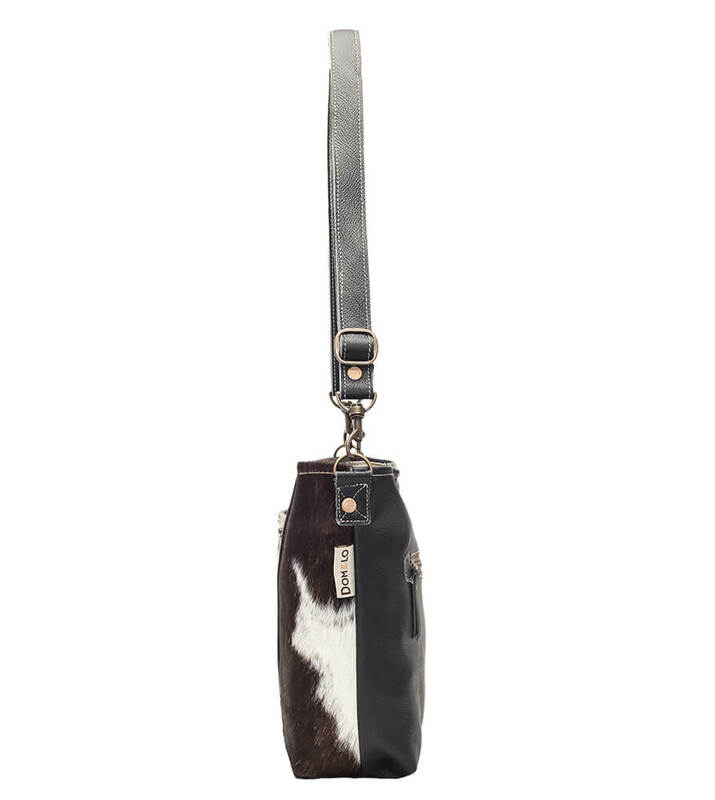 Match it with simple black Trachten shorts and a white Dirndl blouse for an eye-catching effect.